Do martial arts and meditation have medical benefits? Rami Rones, a former fighter who works with cancer patients, says yes, and area hospitals are paying attention. Rami Rones, who first learned about meditative disciplines such as tai chi at a young age, says, "I realized that there is all this skill in our body that most people don't know how to tap into." By the time he was 32, Ramel "Rami" Rones had won martial arts tournaments from New York to Shanghai, and he was looking for a new challenge that could provide the same rush as performing in front of a crowd. He found it when a student named Bob Ellal approached him at a kung fu seminar in Mystic, Connecticut, with a daunting question: "You want to help me beat cancer?" The new book, "The Way of Sanchin Kata: The Application of Power." from Martial Artist and Author Kris Wilder was the subject of his teachings in Paris, France at the Nippon Budo Club. Seattle-based Goju-Ryu karate instructor Kris Wilder traveled to France in March to teach at a two-day seminar presented by Seisuke Adaniya Sensei, the head instructor of the Nippon Budo Club. Wilder’s teachings drew from his new book on Sanchin Kata, considered to be the key form for many traditional karate systems. The event drew participants from across France and from many karate styles ranging from Shorin-Ryu, Shotokan, and Ueachi-Ryu, to name a few. 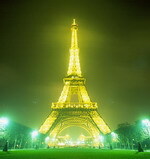 The VIII European YMAA Summer Camp 2007 will be held near Paris, France, and start on the 16th of August and end on the 26th of August. Pascal Plée, the camp director, is still preparing all the details of the Camp. Information will be posted online as soon as they become available. Master Yang has again invited Grandmaster Li, Mao-Ching to attend the Summer Camp. . Master Li will not be able to attend due to shoulder health issue. For the latest update please download the PDF file or visit www.ymaa-france.fr. 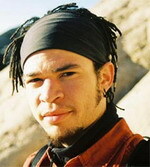 David currently resides with his family in western New Jersey. 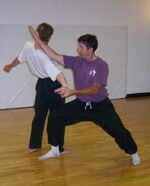 He offers private lessons as well as seminars in Chin Na, White Crane, and Taijiquan. If you wish to contact him, please call 908 797 6405, or email him at ttgypsies@comast.net. The Somatics Center in Tribeca, NYC is pleased to host renowned Tai Chi instructor and YMAA author John Loupos for a series of seminars focusing on traditional Yang style Tai Chi, Chi Kung for flexibility and conditioning, and the application of Somatic Movements for martial artists. These seminars are suitable for all levels of attendees, as John's teaching style masterfully addresses the needs of beginning and advanced students alike. 15% pre-paid discount for any one event. 20% for any two events. 25% for any 3 events. 30% for all 4 events. To register: call or email classes@somatics.org. 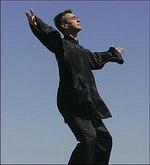 Sifu John Loupos will also be organizing the 2nd Annual Big Sky Tai Chi Retreat, 2007. During the cold weekend of January 20th and 21st, the White Crane Seminar was held in YMAA Boston with students from Indianapolis, Andover, Marshfield, and as far as Leuven (Belgium), Almada (Portugal) and Málaga (Spain). Although the attending group was smaller than usual, it was large enough to fully occupy the 1700 ft studio. Led by Master Yang, Jwing-Ming and with the help of Aaron Damus and Ben Warner, attendees learned and practiced topics ranging from basic hand forms, jing patterns, to stepping and jumping movements. 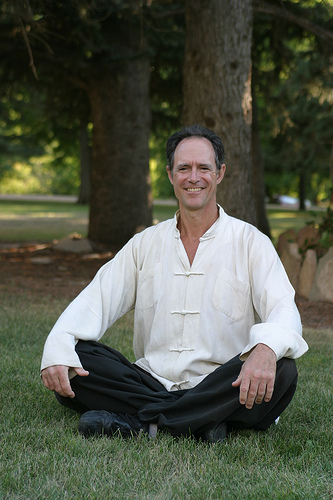 After his return from the 2006 European Fall Tour, Master Yang, Jwing-Ming will be teaching in Chicago from Friday, November 3rd to Sunday, November 5th, 2006. Topics include Taiji Martial Applications (on Friday), and Shaolin Qin Na (Chin Na) Levels 1 thru 6 during the weekend. If you live in the area and are interested in learning, please contact Tom Henry at (630) 673 1525, email chicago@martialartshq.com or visit the site www.martialartshq.com for registration and details. The seminars are held at the Holiday Inn, S. Gary Ave., Carol Stream, Il 60188. Master Yang is scheduled to return to teach in Chicago, April 27-29, 2007. Pre-register now. More information can be found visiting the YMAA Belgium website www.ymaa.be. DVD featuring Master Ren GuangYi & Lou Reed. YMAA is proud to announce the publication of the first DVD by Master Ren GuangYi, Chen Taijiquan. Master Ren is the senior disciple of the 19th generation Chen standard-bearer, Chen Xiao Wang. This multi-language DVD features onscreen narration by artist/musician Lou Reed, who is a private student of Master Ren. The DVD also features a multi-angle viewing option, and a 5.1 audio mix with a soundtrack of ambient electronic music by Lou Reed. Walter Wong in "The Departed". Walter Wong, a student of Dr. Yang, Jwing-Ming since 1996 in Boston, MA and a Screen Actors Guild member, appears in the latest Warner Bros. film "The Departed" directed by Martin Scorcese. The film will be released in October 6, 2006 in the United States. Walter has studied Long Fist and White Crane under Dr. Yang since 1996. 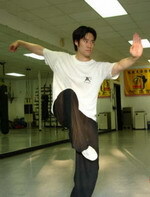 He also learned Liu He Ba Fa from Master Liang Shou-Yu since 1998 and continues practicing and study this martial art. He his available for private lessons in Liu He Ba Fa. If you are interested in learning with Walter Wong, he can be contacted through the email renblade2000@yahoo.com or 617-470-4468. Roger Whidden is conferred the title of Tai Chi Master while Dr. Yang becomes grand master. 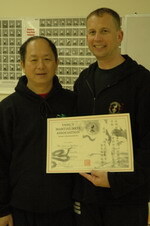 Roger Whidden, a dedicated YMAA Taijiquan Instructor, recently received the highly-respected title of 'master'. Since YMAA was formed in 1982, Mr. Whidden is the first YMAA instructor to ever reach that goal. With Whidden's confirmation on November 29, 2005, Dr. Yang becomes a grand master, which is a very difficult title to achieve among traditional taijiquan practitioners. The testing was comprised of 50 components including: Long Form, Sword Form, Saber, Staff applications, Push Hands, Chin Na, and sparring. His final test completed 35 years ( to the day) of Martial Arts training, 30 years of teaching, and 25 years of Tai Chi. Roger won the U.S. National Tai Chi Push Hands Championships in 1991 and 1992, the Boston Tai Chi Form Grand Championships in 1996 and 1997, and the World Kung Fu Tai Chi Moving Push Hands Championship in 1997. Master Whidden states "My lifelong love of learning through Martial, Internal, and Healing Arts has been more difficult and more gratifying than I ever imagined." Congratulations Mr. Whidden from all of your fellow students of YMAA International. YMAA students Adison Martin & Gabrielle Javierbieda win Gold Medals. Adison also won the Bronze medal for Yang Style Taijiquan, giving him #3 rank in the US. Congratulations Adison and Gabby for your well-deserved and hard-earned awards!